Two people have been arrested after a man was bundled into a car and attacked in a suspected road rage attack. 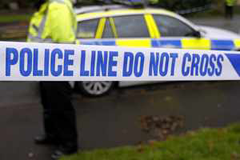 Police said a dispute took place between the drivers of two silver cars in the Chapel Ash area of Wolverhampton in the early hours of Christmas Day. A 20-year-old man was driven around for about 30 minutes before managing to escape. He suffered a head injury. Two men, aged 17 and 21, were arrested earlier. The man escaped near to Moseley Old Hall and called for help, a police spokesman said. He added: "During the 30 minutes, he was seriously assaulted and suffered nasty head injuries which resulted in two days of hospital treatment,"
Anyone with information is asked to contact West Midlands Police.